There is trouble in paradise between the dynamic duo of Black Lightning and Thunder. 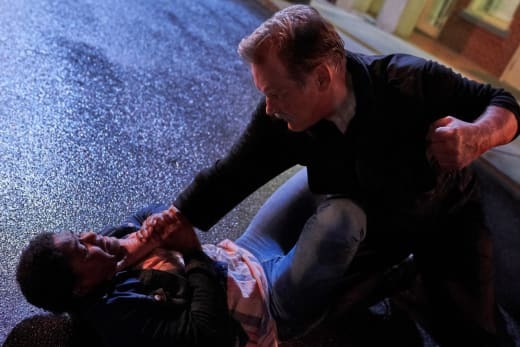 After weeks of power struggles and barbs, Anissa packed her bags on Black Lightning Season 2 Episode 4. She may have only moved to Gambi's place, but her move signified a big change in her father/daughter relationship. Thunder is no sidekick, and she won't be forced into anyone's rules! Experiencing freedom from her father will be a new start for Anissa. Plus, the change greatly helps the plot structure. One of the reasons that tore Jefferson and Anissa apart was the fact that they lived AND worked together. That situation alone created a recipe for disaster. Anissa is a grown woman with her own thoughts, feelings, and decisions. She didn't need Jefferson to force his rules on her, especially with restrictions on how to be a superhero. Coming into her own would rely on her figuring out how she could balance her real-life and be a superhero at the same time. Jefferson's words weren't wholly incorrect; he was right about her recklessness and keeping a cool head in dangerous situations. However, he needed to separate the working relationship from his family relationship. The second he did that, their partnership repaired itself for the better. You could see a significant change in their dynamic during the argument and then afterward during the rescue at the clinic. Apologies go a long way in a situation as personal as this. Anissa: Aren’t we supposed to be helping people? Jefferson: We are helping people! But unlike criminals, we have rules that we need to follow. Anissa: Rules made by whom? Jefferson: Rules made by me. Anissa: Guess what, I have a different set of rules because I’m not going to watch my people get taken advantage of. Jefferson: They are not your people, Anissa! And as long as you are under my roof, you will follow my rules! Permalink: Rules made by me. Now, they can be the best team again while still holding their father/daughter relationship. 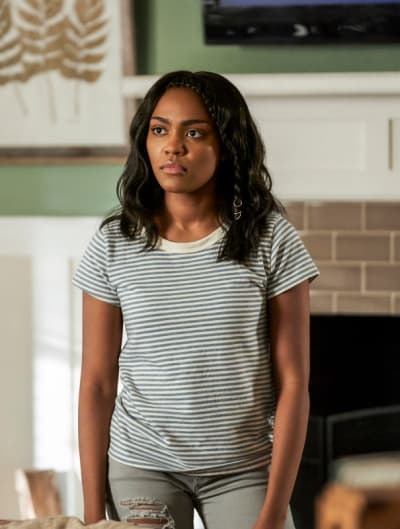 Plus, the decision for her to move out of the house will expand Black Lightning Season 2's storyline outside of the Pierce household. While the previous focus on family created new layers to the characters, the central setting reined in the drama a bit too much. Family issues started to outweigh the metahuman story. 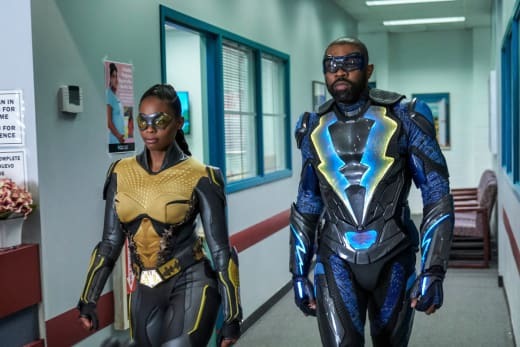 Black Lightning succeeds thanks to its focus on characters and making them come across as real people. On the other hand, this is a TV show about metahumans. The metahuman and Tobias plots were being treated as afterthoughts when they should've been given a more prominent focus. I'm excited that these stories are now getting the attention they need to develop. Anissa, Jefferson and Gambi's big climactic scenes at the clinic offered a fun interlude to bring our characters back together. Black Lightning and Thunder showed their stuff to save the day, and even Gambi got in on the action in his fight. I fully expected Anissa and Jefferson to defuse the bombs, but Gambi pleasantly surprised me. Gambi should fight more often; he has the skills to go toe-to-toe against his enemies. The assassin might've had the upper hand, but the battle was a good time nonetheless. Revenge should be on his mind for next time. The same issue mentioned above, unfortunately, still affected this plot. All the plot elements surrounding the clinic felt rushed and pushed to the side. Whenever it did get brought it up, the attack on the clinic was either presented as a retort in an argument or plot against Black Lightning. Even the mobster came across as an insignificant foe. The mobster's plot to bomb the clinic (and trap Black Lightning/Thunder) should've had more serious stakes to the overall story. This plot could be a case of setting the pieces for the future, especially due to the surveillance trap. Hopefully, that outcome is the case here. We'll have to wait and see how it turns out. Whereas Anissa's roller coaster plot ended on a good note, Jennifer's story reached a shocking conclusion. 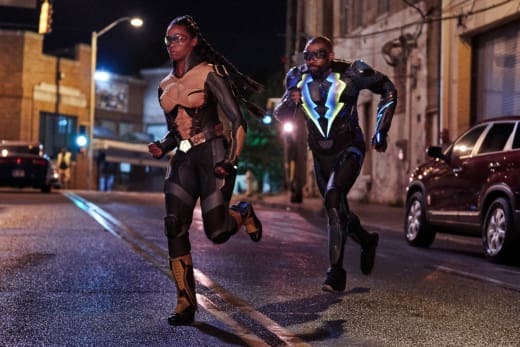 Firstly, I loved everything about the cold open hallucination for Black Lightning Season 2 Episode 4! Her fight scenes with Painkiller, the peaceful music, her use of powers, the editing, the calm set-up before the action ... I loved it all. The scene caught us off-guard and kept us hooked until the twist was revealed. But, what made that moment genuinely stellar had to be Jennifer's confidence. She is the character we need in our lives. Jennifer struggling with her metahuman powers caused a significant change in her personality. She had been more fearful, reserved, and reactionary instead of her former self. I've been missing the more confident side of the future Lightning. Knowing that this version of the character is a possibility and that it's hiding away inside of her gives me hope for where Jennifer could go. Lightning will strike soon; she just needs to cross her internal hurdles and continue training with Perenna. Anissa: Khalil?! Have you lost your damn mind? He killed Dad! Jennifer: Anissa, he killed Black Lightning. Anissa: Oh, so now you’re sticking up for him? When did he start texting you?! Jennifer: Awhile ago, but I never hit him back, I swear. Not once, I swear! Anissa: Yo, you’ve got to shut this down. Permalink: Khalil?! Have you lost your damn mind? He killed Dad! Jennifer's progress was getting better. She started controlling her powers more, and her reactions to stress were lessening. So, her reaching out to Khalil came as a bit of a surprise at the end. Sure, being forced to homeschool devastated her, but she had promised Anissa she wouldn't call her ex-boyfriend. Jennifer reiterated time and time again that Khalil wasn't good news since he killed their father. And, he was working with a powerful criminal like Tobias. Her move is a huge step backward. Khalil is only going to get her tangled up in his mess, especially if he still plans to hang around Tobias and Club 100. Jennifer will need to watch her powers more than ever being around him. 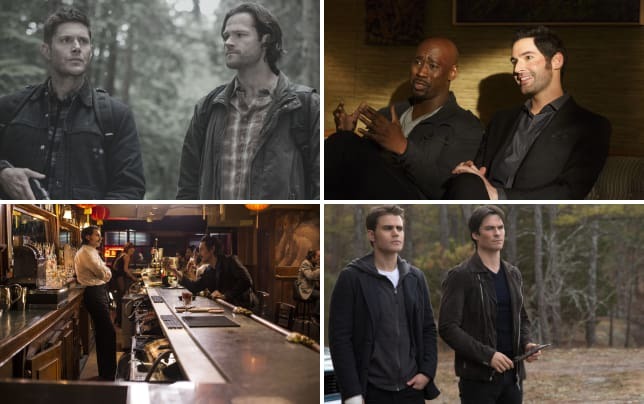 Tobias has his sights set on revenge, and he could use Khalil or Jennifer to do just that if he finds out about Jefferson's secret identity. Deputy Chief Henderson: You forgot something, you translucent freak. You are not going to get away with this. Tobias: Deputy Chief Henderson. “Translucent.” It’s a very interesting choice of words. It means you can see right through me. And if you can see right through me, then you know what I’m thinking. Deputy Chief Henderson: He orchestrated this whole thing. He killed his former lieutenant, he got rid of our DNA evidence, and he got himself arrested knowing that we would have to let him go. All while rehabilitating his reputation with one stroke. Montez: Well, the judge would call that a theory. I need hard evidence of something ... murder, obstruction, conspiracy to commit obstruction. Without that, we’re going to have to let him walk. You have about 48 hours if that. Deputy Chief Henderson: As always, Ms. Montez, you’re a regular ray of sunshine. Permalink: As always, Ms. Montez, you’re a regular ray of sunshine. Speaking of Tobias, what was Deputy Chief Henderson thinking?! You don't arrest someone unless you have the evidence to back up your claim. Tobias would obviously walk away as a free man with nothing concrete to hold him in jail. Henderson tried to brush off Ms. Montez's sarcastic comments about the whole situation, but she was 100% right about everything! The police essentially redeemed Tobias in the public eye because of their mess. We should applaud Jefferson for stepping up to the plate. His testimony was several decades late, and it would be pointless, but he at least tried. Jefferson put himself at risk to put away the killer with the only power that he had available. Henderson shouldn't be so snippy to Jefferson when it's his friend that's fixing his mistakes. Jefferson, Anissa, and Gambi will need to do all the heavy lifting to take down Tobias now. His return to Club 100 felt ominous and terrifying; his followers and lackeys looked ready to serve him again. Maybe the briefcase will be their answer to stop him once and for all? Kara did the right thing by telling Gambi about the case before she died. Sharing that information will help the mission in the long-run. However, she didn't need to be so secretive to him, considering the fact she went to him for help in her dying state in the first place. Her strange shift in motivations made no sense. Kara had no reason to try to shoot Gambi; the interaction felt very plot-specific instead of based on her character's personality. I'll miss Kara, but her send-off didn't feel like a fitting end. Dr. Jace: I told you, Dr. Stewart. They’re all gonna die. It’s only a matter of how quickly. Lynn: I refuse to accept that. Dr. Jace: I know, I know. Your optimism amuses me. But death catches us all, Dr. Stewart. None of us gets out alive. I’m here because I’m one of three people in the world who can do what I do, and the other two aren’t nearly as nice. Permalink: Your optimism amuses me. But death catches us all, Dr. Stewart. Over at the lab, Lynn needs to watch her back ASAP! Dr. Jace didn't come to play; she came to slay. Even if the green light person had no chance at survival, Dr. Jace didn't have the approval or justification to run an experiment by herself. She murdered him by faulting the pod, and she did so without Lynn's (her superior) knowledge. That's a big no-no at any job. The doctor showed why she got in trouble in the first place. Making the decision for scientific research and results only caused more harm than good. But, the real pressure came when she pieced together the discovery of a metahuman family in Freeland. Do you think she'll uncover the Pierces? That twist seemed like the story being teased for the future. Dr. Jace is the type of character to be inquisitive enough to hunt down the truth. Let's hope Lynn can stop this before it gets worse. I hate Principal Lowry! He is the absolute worst. Expelling the kid took the situation too far, and him rudely dismissing Jefferson crossed the line on so many levels. I can't wait until he's gone. Anissa and Jenn have a great sisterly friendship, and they enjoy teasing each other at every moment. More scenes of them together are always appreciated! Issa Williams being Jenn's date in the vision: potential crush or friend date? 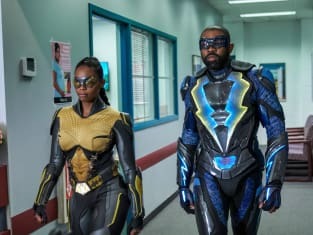 Now, over to you, Black Lightning fans. What did you think of "The Book of Consequences: Chapter Four: Translucent Freak"? Will Tobias start a war in Freeland? Is Jennifer welcoming trouble by calling Khalil? Will Black Lightning reclaim the briefcase from Tobias?